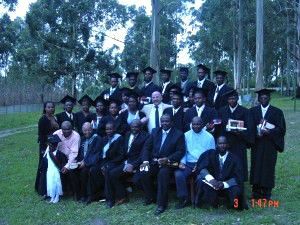 In 1989 two local Xhosa families and the Koskys had a vision to establish a Christian school among the rural region of the Transkei (near the mission station). After much prayer, the school was established, and within a few years it grew to over one thousand children. When the school started, we invited a denominational missionary couple to join us in establishing this school. They were not only willing to help, but in time they took over the school. We released the school to them, but after a few years the school began to fall apart. The missionary couple returned back to the States, and the school finally closed. Now the community has once again approached us about starting another Christian school in/near the main mission station in the Transkei. We remain in prayer about what the Lord wants to do.